Keeping your home’s exterior clean of mold and mildew throughout the year ensures not only a higher property value, but an extended life on your paint and siding. At Premier Property Services, we understand how valuable your home is to you, and understand that its cleanliness can best be maintained by utilizing low pressure house washing that doesn’t damage any of your property. Our professional house washing and pressure washing technicians in Raleigh are experts when it comes to cleaning and restoring your property to its original beauty. They take pride in the work they do every day and want to give our customers the absolute best low pressure washing in Raleigh. At Premier, we care about your property and the experience you have while working with us. We take the time to prepare your property before any of our low pressure washing services are performed. We tape outlets and keyholes, cover delicate items like outdoor electronics, cover exterior doors with stained finishes, and inspect your home for any areas of concern once we are finished. We take care of everything! Our house washing service in Raleigh includes a low pressure soap application and thorough post-rinse of all of your home’s vinyl and painted surfaces including siding, doors, windows, trim, soffits, fascias, and gutters. Our eco-friendly cleaning detergents are blended in-house and are formulated to rid your house of unsightly mold, mildew, algae, dirt, and spider webs. Utilizing these detergents along with our custom, state-of-the-art equipment, we deliver amazing results! Contact Premier Property Services today! 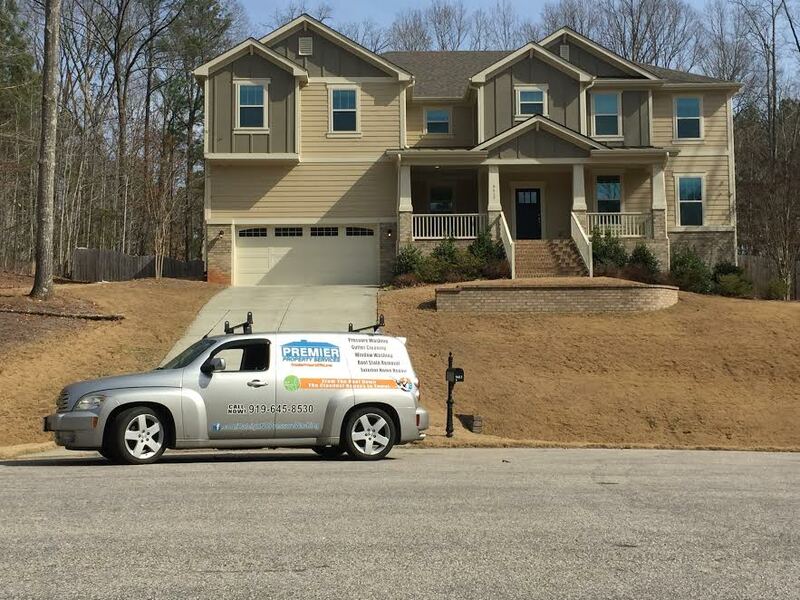 At Premier Property Services, we want to provide our clients with the best possible low pressure house washing in Raleigh. We understand that many clients have been burnt by house washing in the past, and we want to prove that a good low pressure washing company can help your house look like new without any damage to the yard to the structure. If this sounds like the service for you, contact us online or call today for a free consultation and see what a difference we can make!